Our management team comprises of reputed members of the financial industry, who promote high integrity in business practices. Under their leadership HDFC Life has consistently focused on setting benchmarks in all aspect of insurance business. 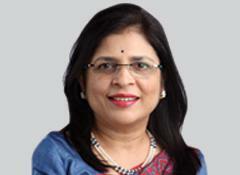 Ms Vibha Padalkar has been associated with HDFC Life since August 2008. Ms Padalkar qualified as a member of the Institute of Chartered Accountants of England and Wales in 1992. She is also a member of the Institute of Chartered Accountants of India. Prior to her appointment with our Company, she has worked in varied sectors such as global Business Process Outsourcing, global FMCG and in an international audit firm. Ms Padalkar was recently honoured the 'CA CFO - Insurance Sector' award by the Institute of Chartered Accountants of India and by Business Today for the second consecutive year, as being amongst the 'Top 30 most powerful women in business'. She was also conferred the 'CFO-woman of the year' award by the Institute of Chartered Accountants of India in 2011 and for "Excellence in Financial Control, Compliance and Corporate Governance" by IMA, India in 2013. 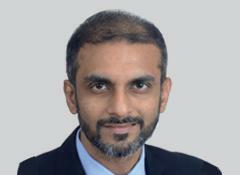 Mr Suresh Badami has been associated with our Company since October 2013 and is the Executive Director of the Company. Prior to joining our Company, Mr Badami was associated with Dunlop India Limited, ICI India Limited, Cogensis Networks Private Limited, Max Ateev Limited, and ICICI Bank Limited. Mr Badami holds a Bachelor's degree in Science from Bangalore University and a Post Graduate Diploma in Management from Xavier Institute of Management, Bhubaneswar. 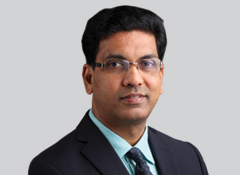 Mr. Niraj Shah has been associated with HDFC Life since February 2019. He heads Finance, Audit, Risk Management and Investor Relations. He has 20 years of experience in financial services, primarily in life insurance and corporate finance advisory. Prior to joining HDFC Life, he was associated with PNB MetLife, ICICI Prudential Life, EY and BNP Paribas. Mr. Shah holds a Post Graduate Diploma in Management from India Institute of Management, Bangalore and is a member of the Institute of Chartered Accountants of India. 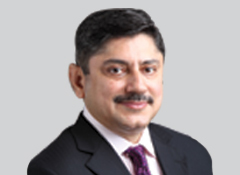 Mr. Parvez Mulla has been associated with HDFC Life as a Chief Business Officer - Group since January 2018. 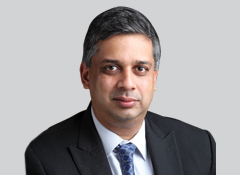 In November 2018, he was elevated as Chief Operating Officer (COO) of the HDFC Life. As COO, his portfolio includes Branch Operations, Customer Service, Underwriting, Centralised Operations & Technology functions. Since October 2018, Mr. Parvez Mulla has been appointed as the Non-Executive Director on the Board of HDFC Pension Management Company Limited. Prior to joining HDFC Life, he was the MD with True North Managers LLP and before that he was the Chief Executive of Retail at L&T Financial Services. Prior to L&T Financial Services, he was associated with ICICI Bank, ANZ Grindlays Bank and Bajaj Auto. He has over 23 years of experience in retail banking and financial services. Mr. Parvez Mulla holds a Bachelor's degree in Mechanical Engineering and a Post Graduate Diploma in Management from IIM Bangalore. 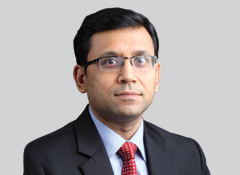 Mr. Prasun Gajri has been associated with HDFC Life since April 2009 and heads Investments. Prior to joining HDFC Life, he was associated with Citibank N.A and Tata AIA Life Insurance Company Limited. Mr. Gajri holds a Bachelor's degree in Engineering from Punjab Engineering College, Chandigarh and is an alumnus of Indian Institute of Management, Ahmedabad. He is also a Chartered Financial Analyst from CFA Institute, USA. 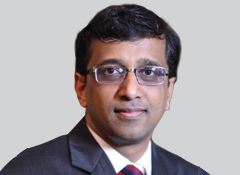 Mr. Srinivasan Parthasarathy has been associated with HDFC Life since December 2011 and heads Actuarial and Products. Prior to joining HDFC Life, he was associated with LIC of India, Watson Wyatt (UK), AVIVA Life (UK), York (Norwich Union), AVIVA India, and Canara HSBC. Mr. Parthasarathy holds a Bachelor’s degree in Science (Mathematics) from Loyola College, University of Madras. He is also a Fellow of the Institute of Actuaries of India (2008) and Institute of Actuaries, UK (2004). Mr. Rajendra Ghag has been associated with HDFC Life since September 2009 and heads Administration, Business & Services Excellence and CSR. Prior to joining HDFC Life, he was associated with CEAT Limited, Sandoz (India) Limited, NOCIL, TFIPL (Reliance Industries Limited), Cadbury India Limited and DHL Express India Limited. Mr. Ghag holds a Bachelor’s degree in Commerce from the University of Mumbai. 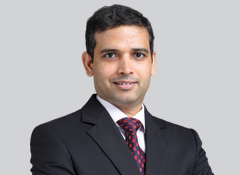 He also holds a Bachelor’s degree in Law and a Master's degree in Personnel Management from the University of Pune. Mr. Pankaj Gupta has been associated with HDFC Life since November 2014. 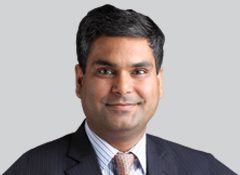 He is the Chief Marketing Officer and heads Strategic Alliances, Speciality Sales, Credit Life & Government Business. Prior to HDFC Life, he was associated with Citigroup, ICICI Bank, and TCS. He has over 23 years of work experience in the financial services space. Mr. Gupta holds a Bachelor’s degree in Technology from IIT Kanpur and is an alumnus of the Indian Institute of Management, Lucknow. Mr. Sanjay Vij has been associated with HDFC Life since July 2001 and heads Bancassurance (HDFC Group). Prior to joining HDFC Life, he was associated with HCL Limited, Blue Star Limited, Core Parenterals Limited, Span Medicals Limited and Birla AT&T Communications Limited. Mr. Vij holds a Bachelor’s degree in Science (D.Tech) from Gujarat Agricultural University and has a Master's degree in Business Administration from Faculty of Management Studies, University of Baroda.